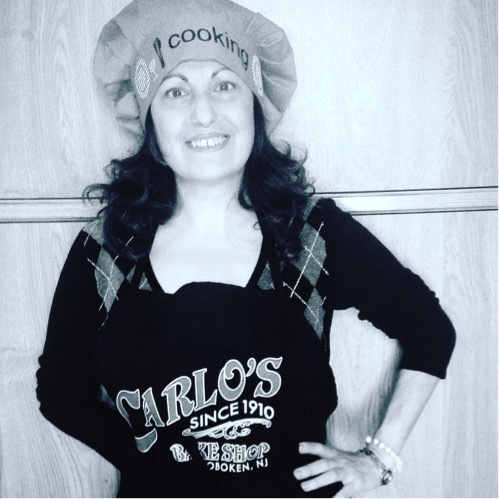 This month Zia Connie’s recipe is a traditional Neapolitan dish for the meat lovers amongst you: Veal Braciolette! Braciolette are thin, veal slices that are rolled up and are kept in place with cocktail sticks. 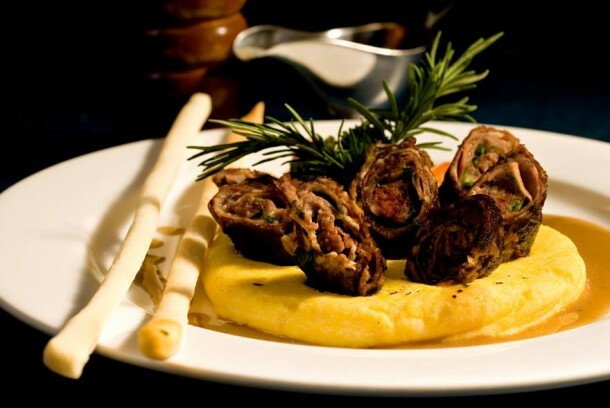 This dish is a true traditional emblem of the Neapolitan cuisine. Aunt Connie gives you a modern and cheeky version of this recipe in a flavourful Chianti Wine Jelly sauce and with a side of silky Truffle Butter Mash that will awaken your taste buds! Step 1. Spread out the veal slices on a wooden board and cover them with the raisins, pine nuts, pecorino and parsley. You will have previously softened the raisins in a glass of red wine at room temperature. Step 2. Roll up each of the topped slices and stick a couple of cocktail sticks through them to prevent the contents from spilling out. Fry the veal Braciolette gently in the extra virgin olive oil for about 10 to 15 minutes. Step 3. In a separate pan melt the Chianti Wine Jelly with the 60ml of meat stock and then place the cooked veal Braciolette in the pan and cover. Cook on a low heat for about 5 minutes until the stock had reduced down a little. Step 4. In the meantime you will have boiled the potatoes until soft, now let them cool off while you are cooking the meat. Mash them with a potato masher or a fork and then put them back in a pan along with the milk, a pinch of salt and both the Parmigiano Reggiano and Pecorino Cheese. Turn off the hob and add the 30g of room temperature Truffle Butter. Stir vigorously until the milk is absorbed. Step 5. Serve the veal Braciolette on the bed of mash and pour the remaining sauce on top. Decorate with the rosemary. Enjoy this all time favourite classic revisited! When you are making your mash try adding the butter at the very end, at room temperature, with the hob turned off. This way you will keep intact the flavours of the butter and your mash will be creamier and silkier.